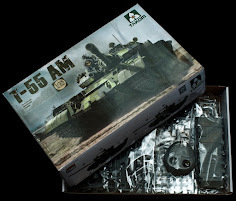 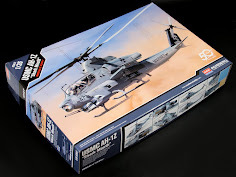 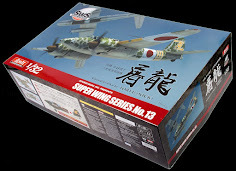 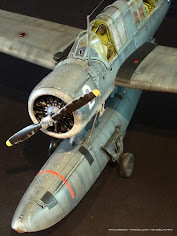 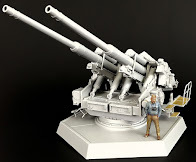 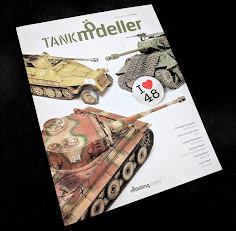 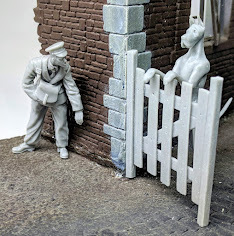 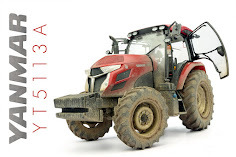 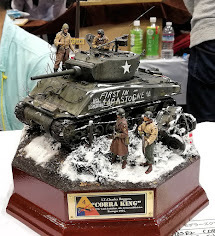 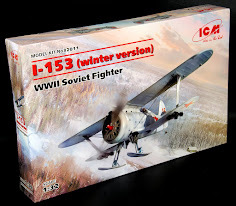 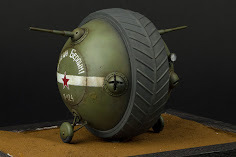 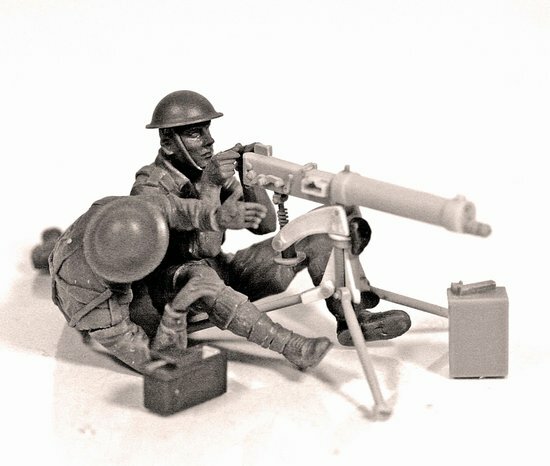 The Modelling News: Latest figure sets "On sale" from Masterbox - striking! Masterbox January 2013 new Releases..
One may think as well that these figures could be used for a Vietnam or Korean diorama as well as there are no real distinctive parts of the uniform that would look out of place. 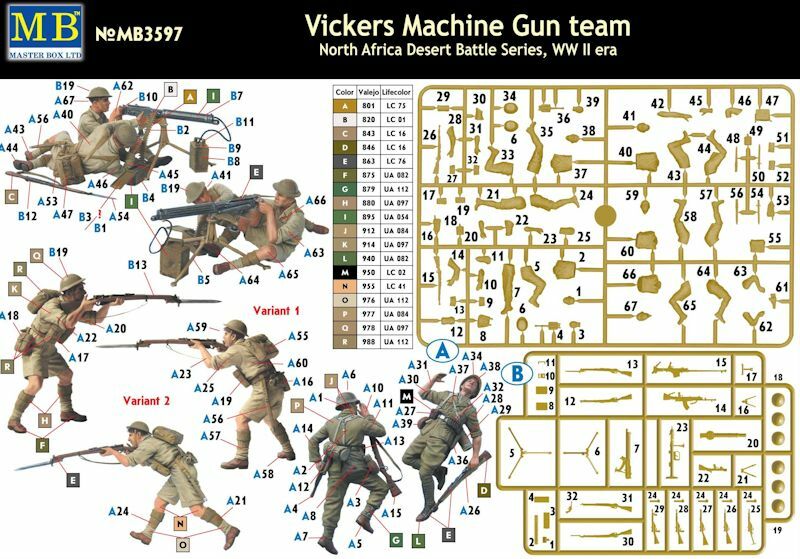 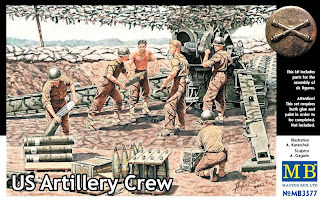 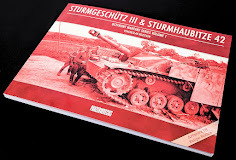 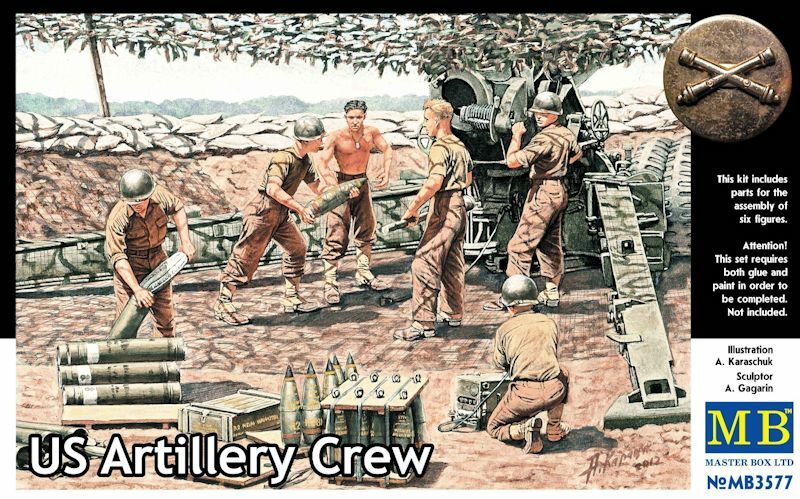 This kit is made up of two sprues in tan which contain five figures with a massive weapons load out - including PIAT anti-tank gun, A heavy Vickers machine gun, Lewis and Bren LMG’s five types of sten gun, some rifles and a heavy calibre anti-tanks rifle. 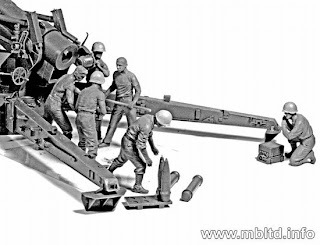 This sprue is sold by itself outright kit (35109) so the inclusion is a great bonus to the set indeed. 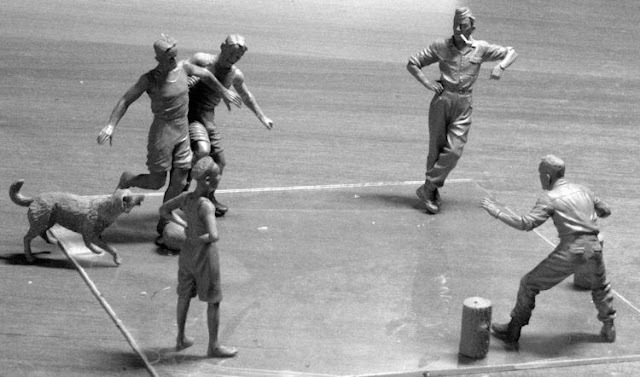 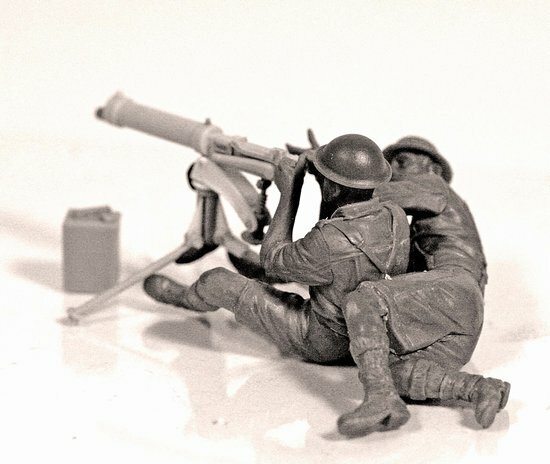 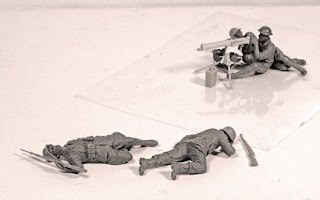 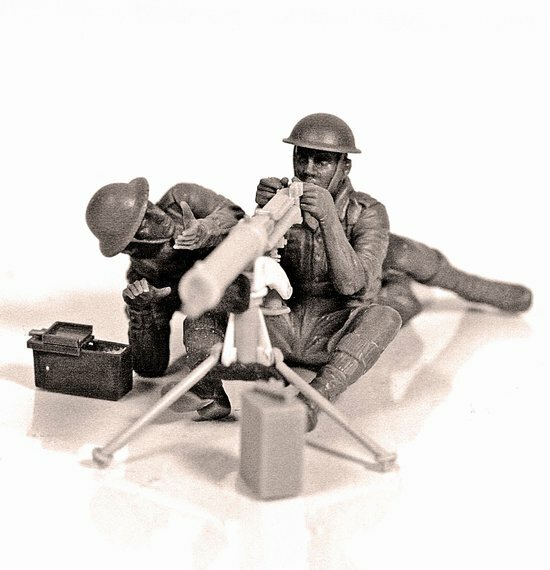 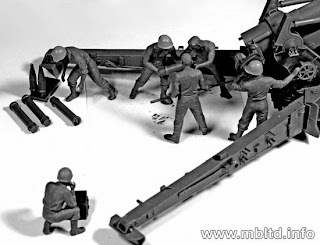 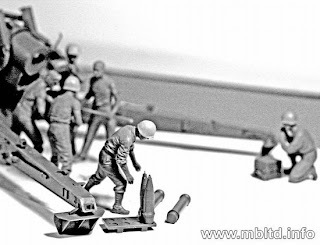 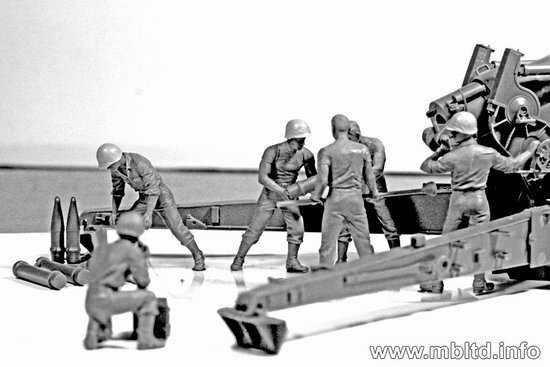 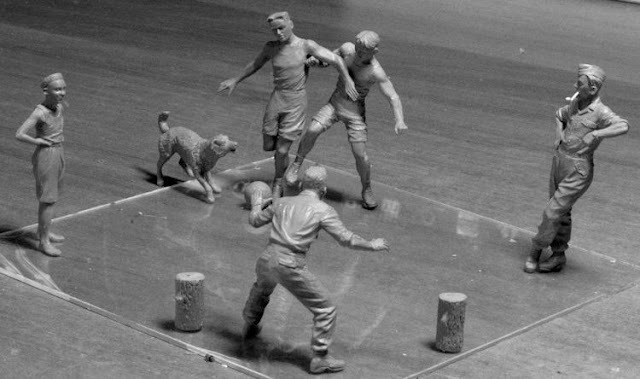 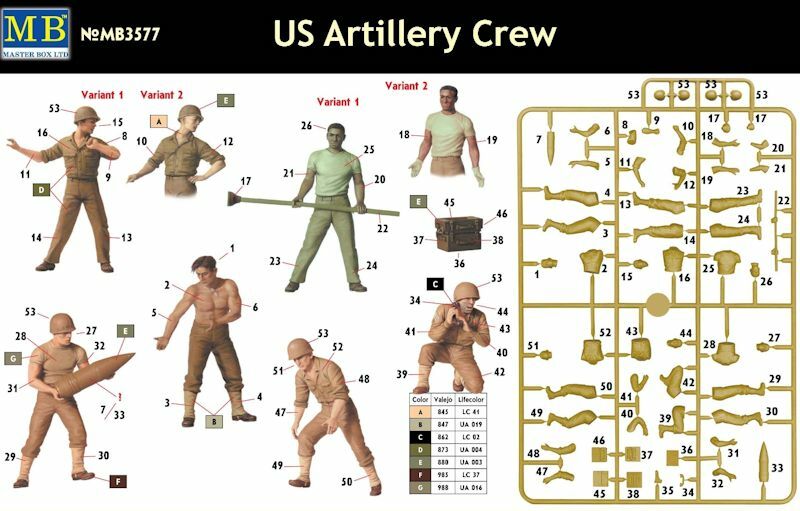 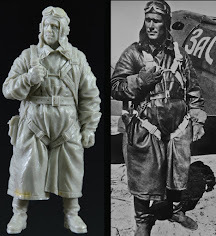 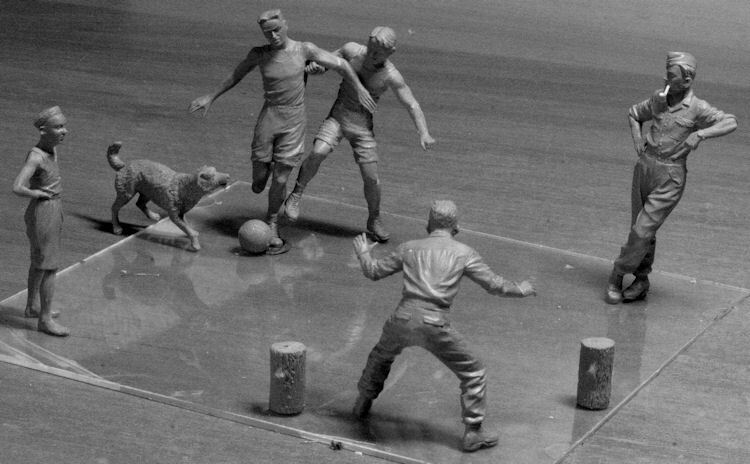 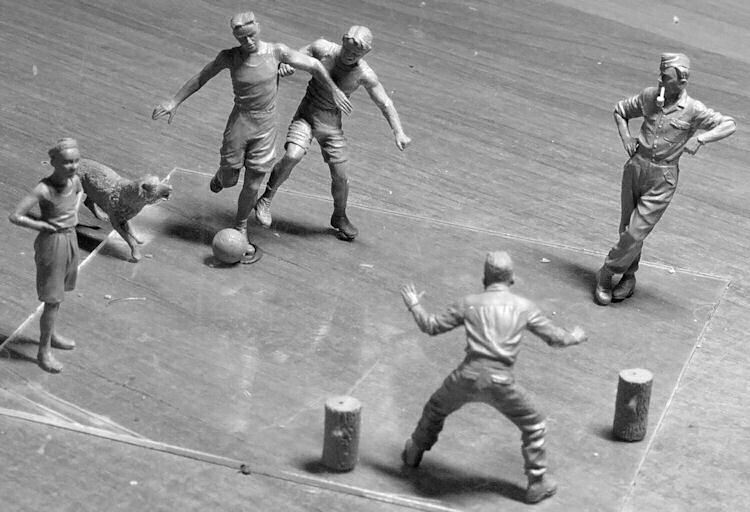 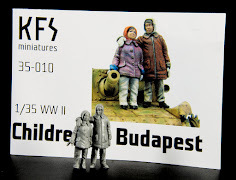 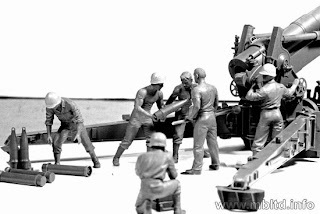 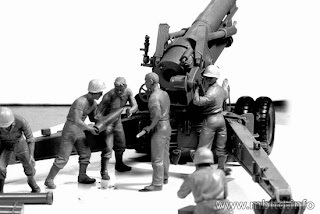 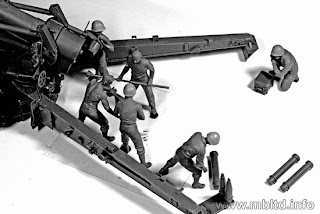 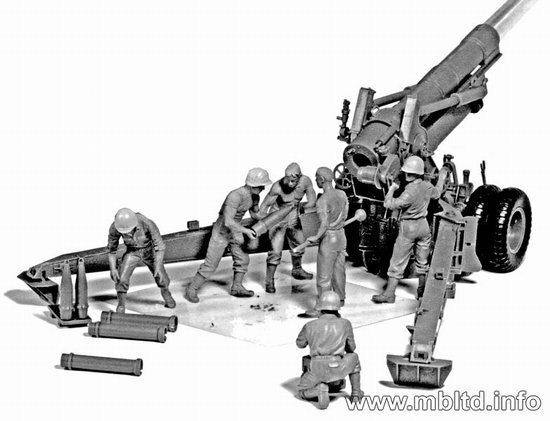 The figures sprue consists of parts to make 5 figures belonging to the western Desert Battle Series in the WW II era. 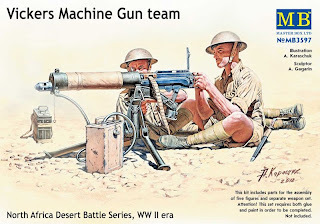 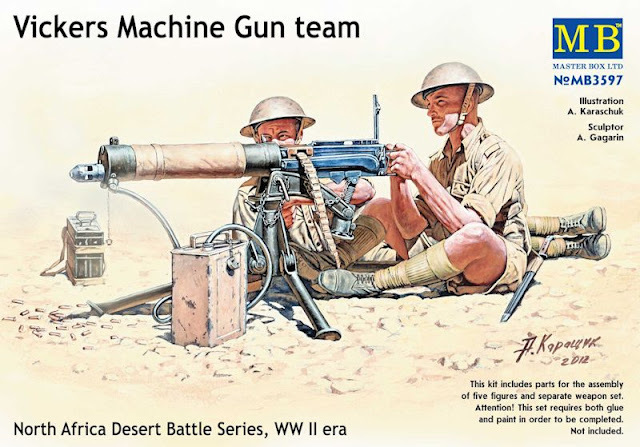 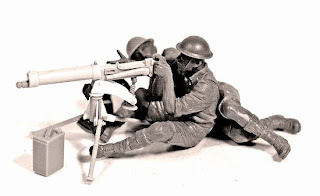 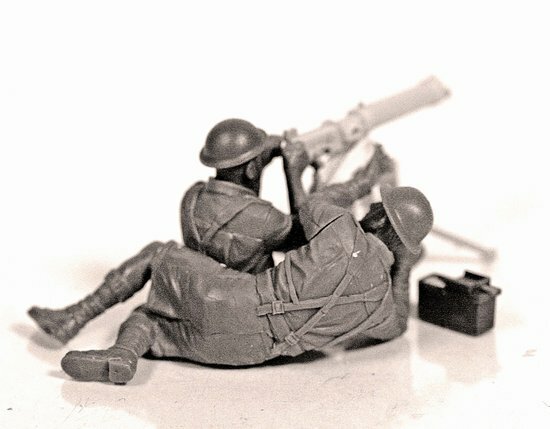 The basis of the kit is British machine gun team of Vickers machine gun, consisting of 2 figures. 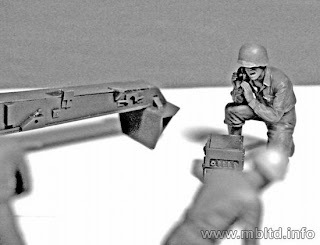 There is also British Infantryman in the kit that could be assembled in 2 variants. 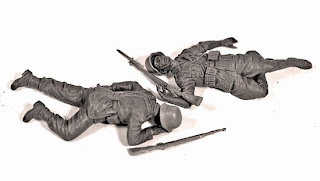 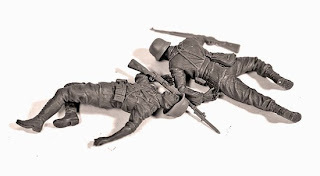 The very interesting variation that MasterBox have made here is the inclusion of two German Infantrymen from DAK figures that have been killed in the attack. 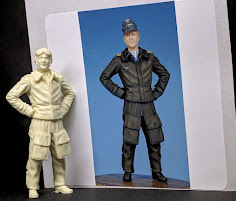 This is really uncommon in moulded injection figures – great work again from the designers of this set. 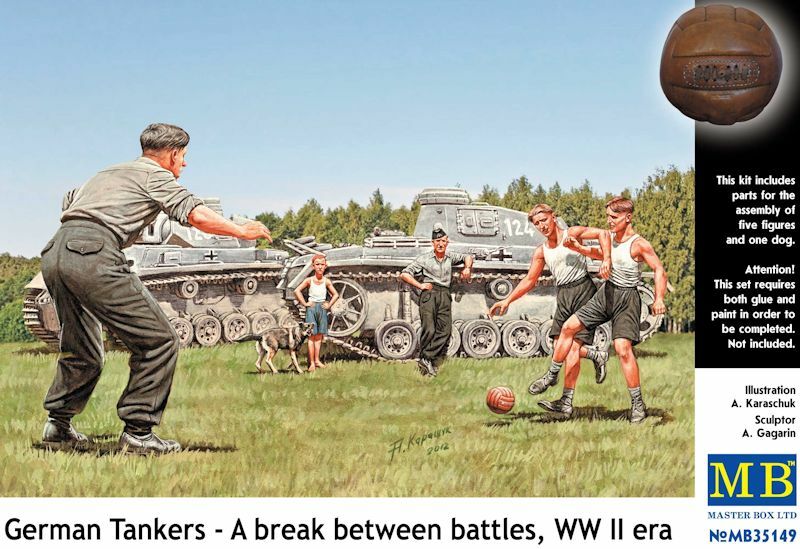 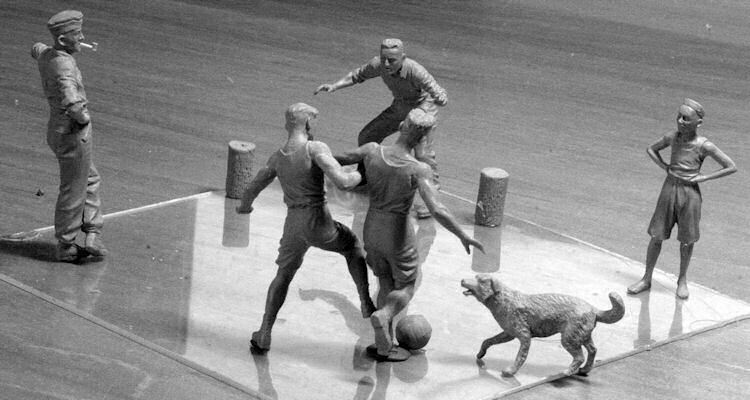 35149 - "German tank men in the break between combats"
Whilst a comrade stands by and smokes a pipe these guys go at it with the help of two tree stumps for goals, a young man and a little doggies that wants to have a go too! 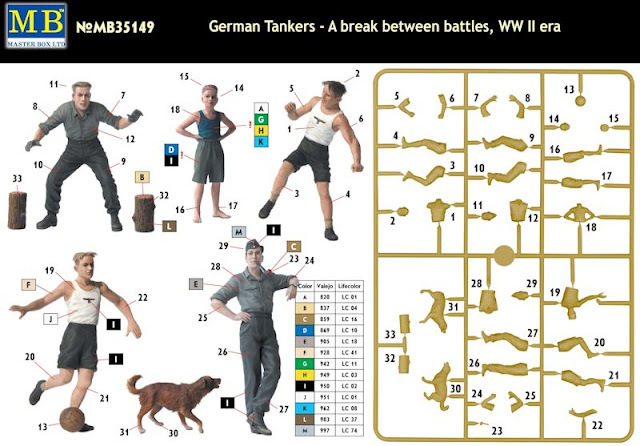 These figures are now on sale at all MasterBox Distributors worldwide.